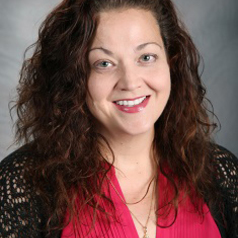 Laurie Charles, MSN, RN, SANE-A, SANE-P is Clinical Assistant Professor at Texas A&M University in the newly formed Forensic Health Care Program. Ms. Charles obtained her Master’s degree in Health Care Management & Leadership in 2015. She is an emergency department nurse who began her forensic nursing career in a pediatric hospital where she was a sexual assault nurse examiner (SANE), and then manager of the forensic nursing program for 16 years. In her forensic nursing career, she cared for several thousand patients and oversaw the care of tens of thousands of patients. Additionally, Ms. Charles was a SANE Trainer for the Texas Attorney General, providing education for registered nurses. She has extensive sexual assault patient care experience, but her primary expertise is in child physical abuse/neglect, child sexual abuse/assault, and human trafficking. Her current focus in on outreach, providing education and training, with an emphasis on combating human trafficking, for health care and multidisciplinary professionals.